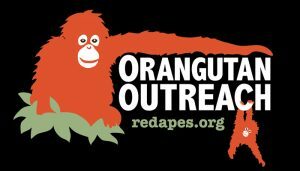 Richard Zimmerman is the Founding Director of Orangutan Outreach, a New York-based non-profit organization whose mission is to save the critically endangered orangutans and protect their rainforest home. 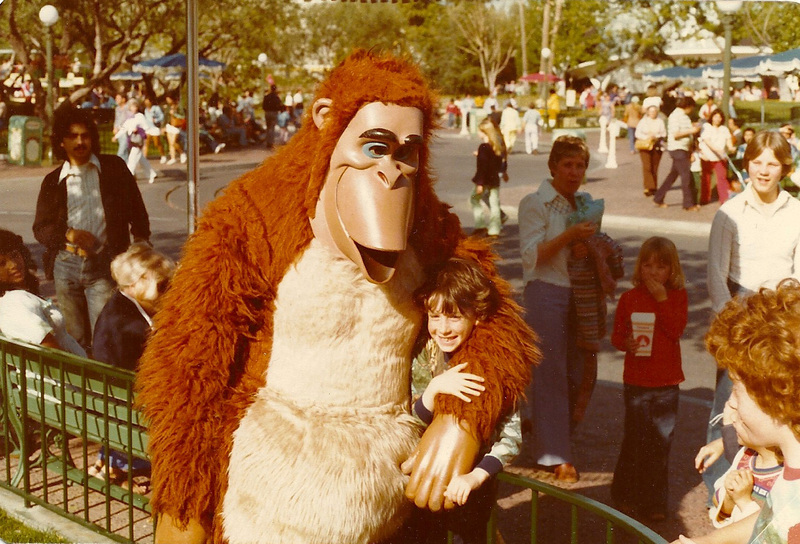 Richard grew up in Southern California, where his love for orangutans was fostered by frequent visits to the Los Angeles and San Diego Zoos. His passion was reignited years later when he was living in Barcelona and made regular visits to the Barcelona Zoo to see Snowflake, the legendary albino gorilla. It was in the enclosure around the corner from the gorilla that Richard first set eyes on a giant Cheekpadder male orangutan named Moe. Richard spent many afternoons sitting near Moe, who was always alone, sitting silently on a barren slab of concrete with little enrichment and no companions. Read an interview with Richard on the OuTrop blog. Debbie Clemens is a conservation biologist from the Chicago-land area. She comes to Orangutan Outreach with knowledge from a Master's degree in Zoology, the experience of field work in SE Asia, a passion for wildlife conservation, and a strong desire to educate others. Debbie has expertise in community-based conservation as well as the role of zoological institutions in conservation. Debbie is practiced in interpretation of animal behavior as well as animal care and husbandry. She is an experienced instructor of conservation biology graduate level courses as well as a seasoned informal educator. Debbie is dedicated to the conservation of wild orangutans in Borneo and Sumatra and has been working on behalf of the precious pongos for eight years. Colleen Reed is a life-long wildlife conservationist. She grew up in the woods of Florida, following her dog, the horses, and the abundance of wildlife in her neighborhood. At an early age, she became enthralled with Jane Goodall and her chimpanzees, and began volunteering with animal organizations throughout Florida. Colleen holds a BS in Zoology and Anthropology from the University of Florida. She has been a docent at the Central Florida Zoo, a Jane Goodall Institute ChimpanZoo observer, and a volunteer for the Center for Great Apes. After college, she became a great ape caregiver with Patti Ragan and the team at the Center for Great Apes. There, she helped care for 43 chimpanzees and orangutans, all from pet trade, the entertainment industry (circus, commercials, movies, live performances), or cognitive research. 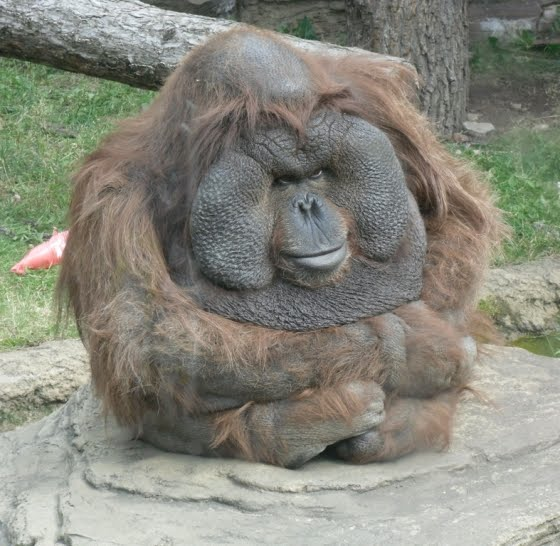 She now lives in Portland, Oregon where she works as a primate keeper at the Oregon Zoo. 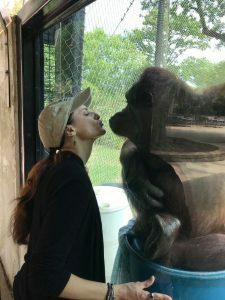 She also helps coordinate Apps for Apes for Orangutan Outreach and is spearheading an effort to bring enrichment to caged adult orangutans at care centers in Borneo. Alina Bachmann has been a friend and supporter of Orangutan Outreach since 2009. We fist met Alina when she was an art student at the College of New Rochelle in New York. She designed our ORANG mama & baby logo that is featured on our tee-shirts and hoodies. She also created several sets of orangutan drawings that we use on Halloween, Valentines Day and New Years. Learn more about Alina and see her work on our Pinterest page.